West Windsor, N.J. - Ronald Suarez, M.D., medical examiner for Morris, Sussex and Warren counties, will explore the work of forensic pathologists in his presentation, "Understanding Medicolegal Death Investigation," on Tuesday, Nov. 15 at noon at Mercer County Community College. This free lecture is open to the public and is presented as part of MCCC's Distinguished Lecture Series in the Communications Building, CM 110, on the West Windsor Campus, 1200 Old Trenton Road. Referencing actual cases, Dr. Suarez will draw upon his 28 years of practice nationally and internationally, as he explores the basics of death scene examination, medical history, and other information the medical examiner uses to determine a person's cause and manner of death. Launching his career as an associate medical examiner for Metropolitan Dade County in Miami in 1983, Dr. Suarez relocated to Boston where he served as an associate medical examiner and forensic pathologist representing Massachusetts' Eastern Regional Office. From there, he was appointed assistant state medical examiner for New Jersey. He has also worked as a consultant in Forensic Medicine for the U.S. Department of Justice's International Criminal Investigative Training Assistance Program and as acting Gloucester County Medical Examiner. On the international front, Dr. Suarez, a diplomat of the American Board of Forensic Medicine, has held numerous positions. 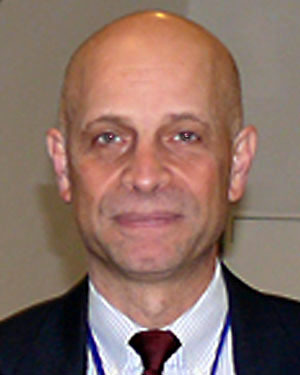 He has served as a consultant in Forensic Medicine for the U.S. Agency for International Development Mission to El Salvador; to the Office of the Attorney General in Guatemala and Panama; and as co-director of the Advanced Symposium in Death Investigation for the U.S. Department of Justice in Bogota, Columbia. His appointments in academia have included serving as an assistant professor of Pathology at the University of Massachusetts Medical School and as an adjunct assistant professor of Neuroscience at the University of Medicine and Dentistry of New Jersey. Dr. Suarez earned his medical degree from Rutgers University Medical School and performed his residency in Anatomic Pathology at New York Presbyterian Hospital in New York City. For more details about MCCC's Distinguished Lecture Series, click here or call 609-570-3324.